This bride is getting ready to leave her home and head to Downingown Country Club for her ceremony and reception. 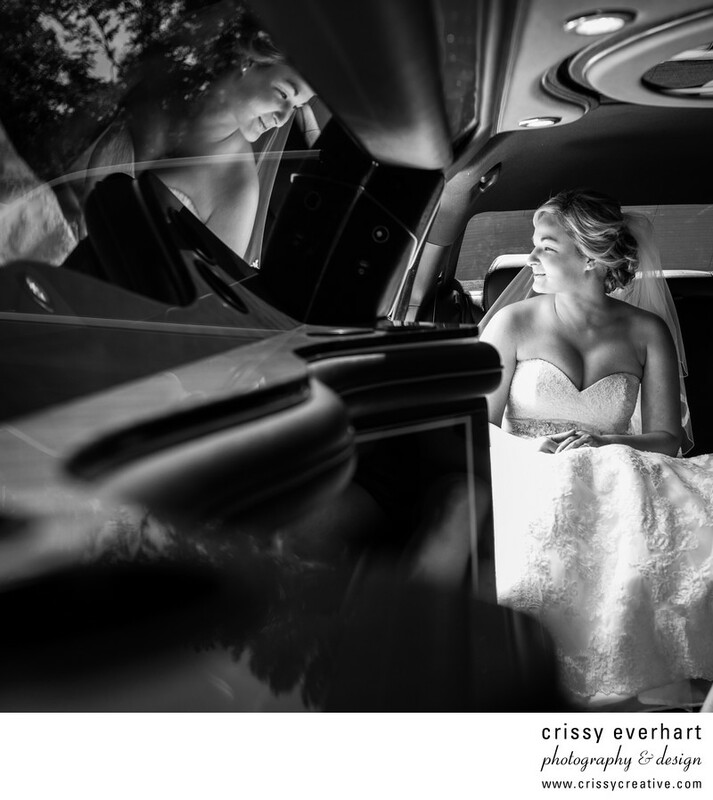 She sits in the limo and looks out the door, her image reflecting into the limousine windows. The photo is processed in black and white and cropped square to accentuate the lines and tones in the image. Location: 85 Country Club Drive, Downingtown, PA 19335.